Graeme Brooker is an interior designer and academic. Until recently he was Programme Leader of the Interior Design courses at the Manchester Metropolitan University and he is now a senior lecturer at the University of Brighton. He is the co-founder of Interior Educators (IE). Sally Stone is Director of the College of Continuity in Architecture at the Manchester School of Architecture. She has lectured internationally. Part 2 of the interview will be published shortly and will feature careers advice for students who wish to work in the field of interior architecture and design. 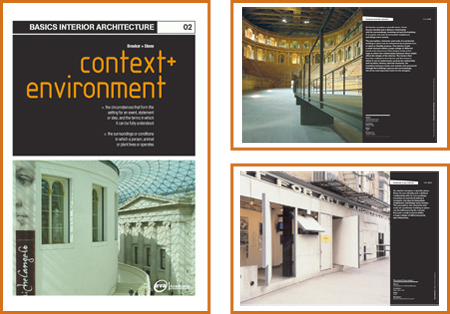 AVA: In your book, Basics Interior Architecture: Context + Environment, you discuss sustainability and environmental awareness. Will this be the major consideration for tomorrow’s designers? GB: One of them. In my view the next five years will ensure that design and all of the creative arts will engage much more closely with different forms of economic and social agendas. I find this quite refreshing. Sustainability is just one of those considerations. 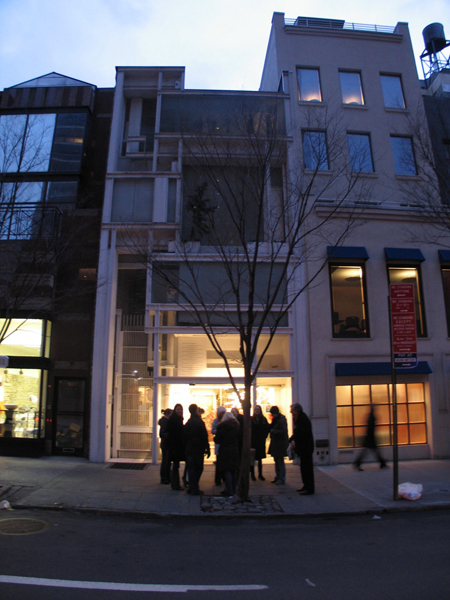 SS: Issues of sustainability and urban design are at the forefront of contemporary architecture. The pursuit of strategies for carbon-neutral building is central to architectural education and to practice. Building reuse is a crucial and sustainable act, it speaks of the usefulness and longevity of the existing and the importance of history. Today, remodelling represents a sizeable market, it represents over 50% of all architectural construction. Building re-use is no longer an obscure specialism, but an activity that is central to all architectural practice. AVA: How important are current trends in interior architecture/design? GB: In interiors this is just a by-product of cosmetic TV shows, and decoration magazines. It’s not important to me as I personally find the idea of ‘trends’ a bit kitsch. Saying that, I think that there is probably an interesting study of these things to be made although I’m afraid I am not the person to do it! SS: All architects and designers should be aware of trends, fads and fashion within their own field, even if they have no intention of following any of them. Within the area, there are some specialisms, such as retail design, where it is important to be familiar with what is in vogue and what will last. The process of design and construction is shortening and I am convinced that this is why architecture and design is becoming more vulnerable to the whims of fashion, however, this is not necessarily a good thing. AVA: Do you find you still admire the same things (styles/eras etc) or have your tastes changed over time? GB: I always seem to have had a fascination with the relationship between history and the future, old/new, collage, sampling, found objects in all of the arts, design, music, and writing. I find that I keep coming back to these ideas and themes although, I think, my response to them becomes more sophisticated over time. I have been a musician for many years and play the bass guitar/double bass. About 10 years ago realised that I was drawn to this instrument because it’s the glue between rhythm and melody in any piece of music, and it reflects my own interests in joining bits of building together with unusual ideas/things! SS: I have found that my tastes have not really changed, there are buildings and interiors that I admired since they were constructed, James Strirling’s Staatsgalerie in Stuttgart for example, which I have come to love more and more as the years pass. Inevitably now buildings and spaces are constructed, but these add the extensive and eclectic collection of places of affection. AVA: When designing an interior, what is the thing you should look at first? In your view, what is the most important part of the process? GB: The site + the programme. What does the space offer you and what are the possibilities for the new spatial identity that is to be created. SS: The interior of a building has an innate and fundamental relationship with the building that it is situated within. The designer needs to establish the nature of that relationship to be able to create something which is sympathetic and appropriate. This understanding combined with a thorough knowledge of the users requirements, construction techniques, materials, contemporary design issues all come together in the creative process. AVA: How much are people influenced by interiors? AVA books now contain an ‘Ethics’ section in the back, and in Basics Interior Architecture 04: Elements/Objects, this section considers the ethics of creating an interior space which is designed to affect peoples’ emotions – for example a commercial retail interior is designed to slow people down and encourage them to look around. It takes London’s Old Bailey as a case study, describing the ways in which it has been remodelled over the years and the affect of these alterations (it was opened up on one side in 1673 to allow fresh air to circulate to prevent prisoners from spreading typhus, but closed again in 1737, partly to limit the numbers of spectators, as their presence could influence or intimidate jurors). Do you believe the interior architecture of a courtroom could affect the verdict and is it unethical to design an interior space to intimidate people? Would you work on such a project? GB: This is a very difficult question. I think that interior space affects its user regardless of what function it is performing. When a design is coercive, as in the design of a retail space that is trying to sell something, or a health environment that is trying to persuade you to feel or get better, then I would argue that this is not unethical. If the purpose of a space is propaganda, then, depending on the message, this could be either condition. Spaces that are designed specifically to bully or instil fear into the user might be construed as unethical but it depends on the message communicated, some people may feel intimidated by a religious space of some description. One person’s principles and beliefs may be very different to another’s; their space should reflect this. A project that I would not work on would be one that offends my own principles and values, these would probably be politically based, or detrimental, in my view, to the human race in some form or other! 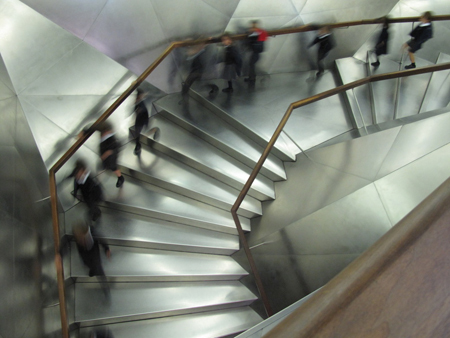 SS: Of course the design of an interior can influence the behaviour and attitude of the people who occupy the space. This has been proven at the most basic level of colour; certain colours can incite anger, while others can encourage calmness. It is the responsibility of the designer to create an interior that is most appropriate to the needs of the users. AVA: Do you find that different regions/cultures often produce designers with similar distinct styles, or is everyone different? GB: I would suggest that there are distinct regional design languages in various parts of the world, and these are based on many different factors. If everything were the same it would be terribly homogeneous, like one big airport! SS: In this post-modern age, information is readily available to everyone, all of the time; so inevitably a lot of design is the same the world over. Global brands reinforce this. However, the practice of contextualism, which instils within design a sense of connection and continuity with a place, is becoming a movement of strength and integrity. This encourages the architect and the designer to take account of the vernacular while still designing buildings and interiors that belong to the twenty-first century. AVA: Which architects/designers do you most admire? How has their work affected you? GB: I am usually inspired by particular projects and places. 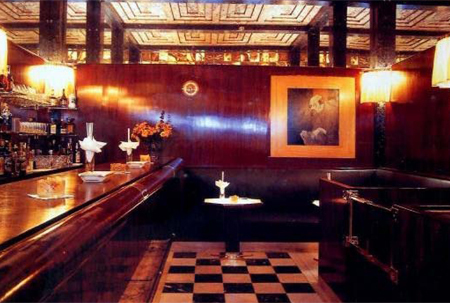 There are many projects that I never tire of seeing and always seek out if I am in that city: American Bar by Adolf Loos in Vienna, Soane’s House in London, Galleria Nazionali by Canali in Parma, Castlevecchio in Verona by Scarpa. There are many cities that I love and am always inspired by: New York, London, and the Far East. I have been fortunate to work for or with many interesting and inspirational people, especially in my teaching career. I can’t name names, as they will be embarrassed, probably as will I! SS: Carlo Scarpa is recognised as the greatest exponent of Interior Architecture and his masterpieces, the Castelvecchio Museum in Verona is really fantastic. 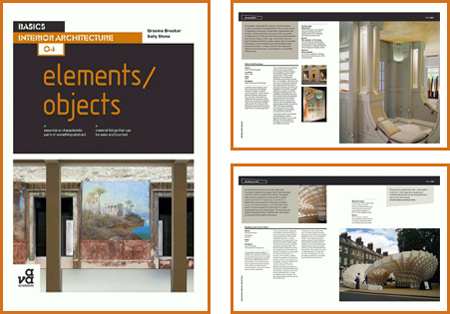 The works of other architects, such as John Soane, Adolf Loos, James Stirling and Diller and Scofidio are all loved. AVA: What is your favourite space? GB: See above. If I had to choose then it would probably be between the American Bar as it combines interior space with one of my favourite pastimes – drinking, and Soane House as it reveals something new every time you visit it. 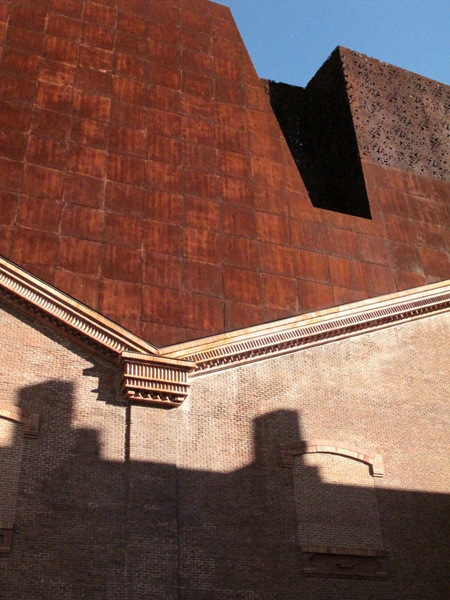 SS: The Querini Stampalia Foundation in Venice by Carlo Scarpa. 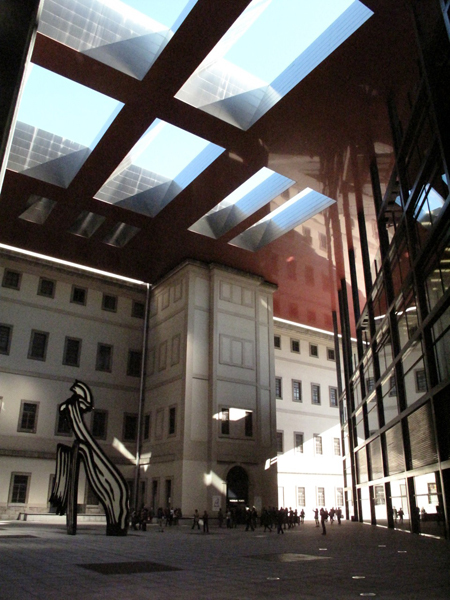 He has created a marvellous and symbiotic relationship between the original building, the new interventions and the city. AVA: What are the main differences between working on an intervened interior, an inserted interior or an installed interior? Which do you prefer? GB: All three strategies are about varying degrees of adapting a host building. Intervention is robust and can involve creative demolition and subtraction of the space. This in order to accept the new elements of the interior that will become integral to the host. Installation, on the other hand, is a light touch and might impact on the existing space in such a way that if it were removed you would have never known it was there. I like all three approaches. SS: The differences are based within the relationship between the original building and the new interior. It is to do with the sheer integration between the two. An Intervention shows complete integration, it would be impossible for them both to be separated again. Insertion is a new element that is constructed to fit exactly within the confines of the original building, while installation is a collection of new elements place within an existing building, these could be removed and the building returned to its original state. I can think of great interiors in every category, for example, the Irish Film Centre in Dublin by O’Donnell and Tuomey Architects is a fabulous example of Intervention. The circulation system at the Sackler Galleries in the Royal Academy, London, by Foster Associates is a very well considered and influential Insertion. While the building that won the Stirling Prize for Wilkinson Eyre is Magna Centre in Rotherham, UK, which is a wonderful series of Installations within a disused steel works. 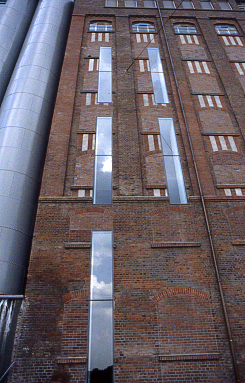 Museum Küppersmühle, a former warehouse and now a Centre for Modern and Contemporary Art. AVA: Is it sometimes difficult to reconcile the wishes of a client with your own creative vision for a space? GB: Not necessarily. If ideas, strategies and motives are clearly explained then it is up to the client to adopt or disregard this approach and push for something else. In my experience design ideas emerge from analysing issues such as function, site, cost, requirements, identity and so on. In one sense it’s quite pragmatic really. I think that the idea of the ‘eureka’ moment, or the notion of a designer conjuring up the creative vision from the ether is a fallacy. For me design emerges from a variety of things and the designer interrogates these things each time to come up with ideas/solutions. SS: It is the responsibility of the designer to create the space that is best for the client. They do not always realise what this is and it is part of the relationship between client and designer for this process to be considered. AVA: In Basics Interior Architecture: Elements/Objects, you quote Nicholas Olsberg: “[Carlo Scarpa] insists that architecture must embrace ‘uneasiness’ and ‘anxiety’ … moments of incompleteness and disquieting unfamiliarity.” Do you agree? And if so, why should this be the case? GB: Yes I do. Interior architecture and design is amongst many things about a sensibility to work with the existing. This brings a lot of complex and interesting issues as it is not about working with pure and unfettered space. Therefore the willingness to embrace unusual moments is most important. SS: It is very easy for the designer to create works that are satisfying and contented. However, it is often the responsibility of the designer to push the boundaries of design, as the artist, inventor or philosopher would, to enable progress and development. After all, the designer doesn’t want the space to be outdated, stale or inappropriate. AVA: Interior Architecture, like all design, is necessarily subjective. How can you say ‘this is good’ or ‘this is bad’? Do you have any particular likes/dislikes yourselves? GB: I don’t necessarily agree with the polarities of your initial statement. The aesthetic of a design might be subject to style and maybe notions of looking good, but one of the things I like very much about design is that it is underpinned by a pragmatic quality and a rigour where success is based upon how well it might work. I spend a lot of time with students developing their critical faculties with regards to what works about space; whether it’s spatial, atmospheric, material, or even about its misuse, and what are the critical components of those successes. We also spend a lot of time disavowing them of answers that finish with ‘It’s just good/bad ‘. I personally have many interiors that I find really interesting because they work in a variety of ways, from their idea, organisation, atmosphere, identity, spatial composition, material quality, how they are misused, and so on. They interest me because they sustain repeated visits. I suppose if there is a type of space that I find uninteresting it is usually where it just doesn’t demand a second thought about what it is trying to be or do for its occupants. SS: Interior Architecture is subjective because it is not an act of isolated design. The designer does not sit in the studio and design without consideration for anything other than design. 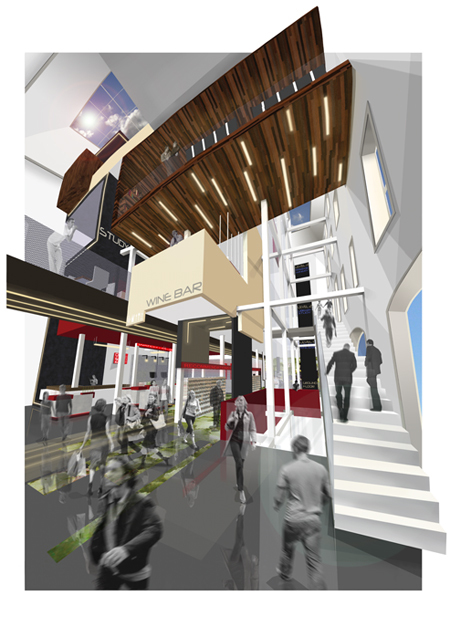 Interior Architecture has probably more specific considerations than any other discipline. The place or location must be acknowledged, i.e. the city, town or other environment. The original building must be considered, the wishes of the client must be understood and the needs of the end-users must be satisfied. All this must be considered in combination with the climate, the materials and the current trends and considerations. It is massively subjective. AVA: Pictured in Basics Interior Architecture: Elements/Objects is Marcel Duchamp’s Fountain, which was declared in a 2004 BBC poll of artists and historians to be the most influential artwork of the twentieth century. Would you agree? If not, do you have something else in mind? GB: I utterly agree. It is still one of my favourite designs. I think I mentioned earlier that I have always thought Duchamp was a great interior designer! 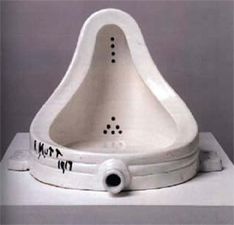 SS: Marcel Duchamp’s Fountain is influential because it elevated art to a conceptual level; it is a work of art because the artist said that it is. This was extremely controversial at the time, but has proved to be massively influential. AVA: Juhani Pallasma has said, “What is most striking about today’s architecture is the impurity, the permissive joining together of the logical and the illogical, the structural and the unstructured, functional and non-functional elements” (quoted in Basics Interior Architecture: Form + Structure). Is this liberating? Why did you choose this quote? GB: We used it because it sums up the diversity in the process of the design of the built environment, and the fact that the most interesting interiors that are produced might be produced from a complex weave of elements. This is evident in even a John Pawson interior that is stripped out and apparently clean calm and serene. I feel that underneath its apparent calm there is a complexity in the meaning of the space that is still very tangible. SS: We live in a post-modern world, one in which “Both” and “And” are acceptable. Contradiction and complexity are common design generators in the twenty-first century. AVA: How do you see the relationship between art and interior architecture (is interior architecture ‘art’? 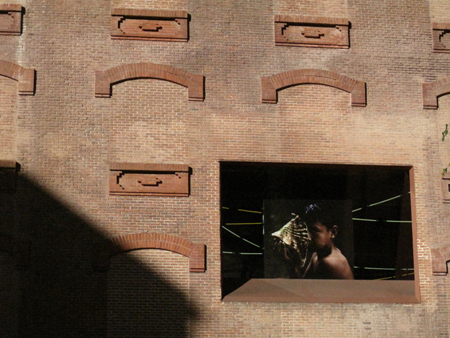 Should buildings be ‘artistic’?)? There are obvious similarities to creating space with the central concerns of function and human occupation, as well as spatial identity, and technique to be added. SS: Marcel Duchamp famously once described the difference between art and architecture as “the drains”. 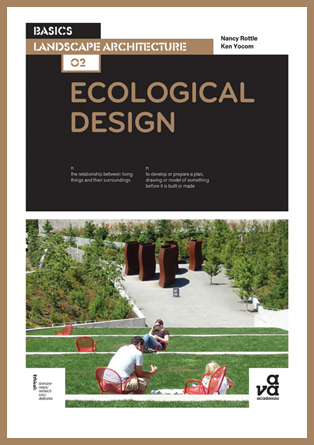 The next title in AVA’s Landscape Architecture range is Basics Landscape Architecture 02: Ecological Design. More information on this title is available from our website. 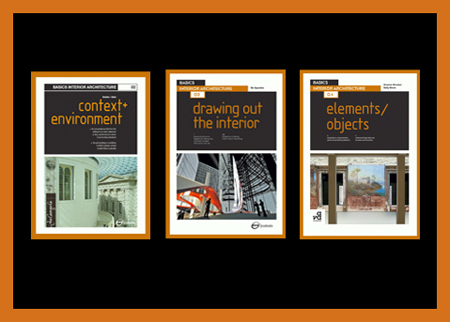 Three books in our Basics Interior Architecture range are currently available as a special offer on our website, with all three books available for a total price of £26.99 (a saving of £26.86 off the RRP). We also offer free p&p for UK deliveries.